My South Jersey Healthcare out-patient offices are bustling with patients contemplating weight loss (bariatric) surgery or who have already decided on the specific type of surgery they will soon be having - either a restrictive (laparoscopic gastric banding) or malabsorptive/restrictive (gastric bypass or laparoscopic vertical sleeve gastrectomy) surgery, depending upon what their surgeon recommends. Weight loss surgery is intended for morbidly obese individuals averaging 80-100 pounds overweight, especially those with serious health conditions. 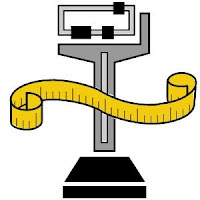 Weight loss is imperative to reduce excess body weight for disease prevention and/or relief of obesity-related metabolic conditions such as diabetes, joint and knee pain, acid reflux (GERD), high blood pressure, high cholesterol, sleep apnea, non-alcoholic fatty liver disease, heart disease and lung disease. Surgery should be an absolute last resort for weight loss and be considered only after many attempts at conventional methods for losing weight have been exhausted or are not possible. With bariatric surgeries on the rise throughout the country, my concern is for those who may not have seriously tried hard to lose weight before landing in the operating room. Be honest with yourself and give your weight loss efforts the attention it deserves. A Registered Dietitian (RD) can help you achieve your desired body weight. This inspirational message for weight loss was recently posted by Virtua Hospital from Tumblr, which said, "Even if you can't physically see the results in front of you, every single effort is changing your body from the inside. Never get discouraged!"